If you're looking for a church home, we extend a cordial invitation for you to join us. 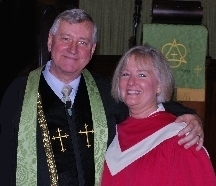 Pittsfield First Congregational Church is a community of believers that join together to worship our Lord Jesus Christ, fellowship and support one another and reach out to the work around us as mandated by Christ. Our prayer is that God will bless our time together in worship; that we will leave refreshed and renewed by His Holy Spirit: and once again reflect the love of our Lord to others.